As fans of March brackets anxiously await the series of unexpected outcomes that will land their basketball pool entry squarely in the trash, our Clash of Characters tournament already is in full force, with thousands of votes cast in first-round showdowns between the greatest fictional military characters in film and television history. Head here to vote now. First-round matches close Thursday, with Round 2 voting starting almost immediately thereafter. Check out some of the early tallies below, with polling data as of Tuesday afternoon. Is your favorite fading fast? Send your Twitter followers and Facebook faithful to militarytimes.com/battle-bracketand campaign on social media with the hashtag #BattleBracket. It's an early lead for the enlisted side in the Action Heroes Region's closest matchup, with Staff Sgt. Don "Wardaddy" Collier ("Fury") holding a 51.2 percent-to-48.8 percent edge over Lt. Aldo Raine ("Inglourious Basterds"). The winning Brad Pitt performance moves on to face one of two characters portrayed by Chuck Norris, who has done his March Madness homework, according to reliable sources. Only one character per franchise makes the second round, so Staff Sgt. Robert Barnes and Sgt. Elias Grodin are squaring off for the right to carry the "Platoon" banner forward, with predictable razor-thin margins separating them in the closest match of the Combat Classics Region. Willam Dafoe's Grodin holds the edge over Tom Berenger's Barnes with 50.55 percent of the early vote. The next-tightest contest in the Combat Classics Region features star power from a different era and service, as Lt. j.g. Douglas Roberts (Henry Fonda, "Mr. Roberts") trails Lt. Cmdr. Philip Francis Queeg (Humphrey Bogart, "The Caine Mutiny") by a handful of votes (52 percent to 48 percent). Bogart earned an Oscar nomination for his role in the 1954 classic, while Fonda's co-star, Jack Lemmon, won the Academy Award for best supporting actor. 4. Small-screen showdown: TV eras collide in the Best of the Rest bracket, with "NCIS" mainstay Leroy Jethro Gibbs (Mark Harmon) holding a narrow lead over "A-Team" leader Col. John "Hannibal" Smith (George Peppard). Either winner could face serious trouble in later rounds, with "Hawkeye" Pierce and Lt. Cmdr. Quinton McHale posting some of the highest vote totals of the early going. 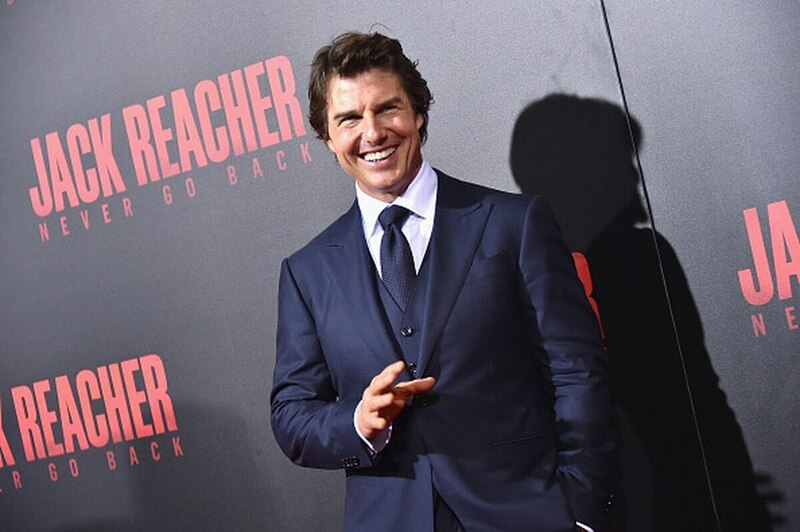 Tom Cruise's Jack Reacher is one of several well-known characters that could face an early exit, with Mel Gibson's Benjamin Martin ("The Patriot") piling up about three-quarters of the vote in their Round 1 showdown. Others on the edge of elimination include Lt. John Dunbar (Kevin Costner, "Dances with Wolves"), Col. Walter Kurtz (Marlon Brando, "Apocalypse Now") and Pvt. Gomer Pyle (Jim Nabors), who is falling behind Col. Robert Hogan (Bob Crane). We blame this guy. Remember to cast your vote here, and check back later this week for the Round 2 reveal.